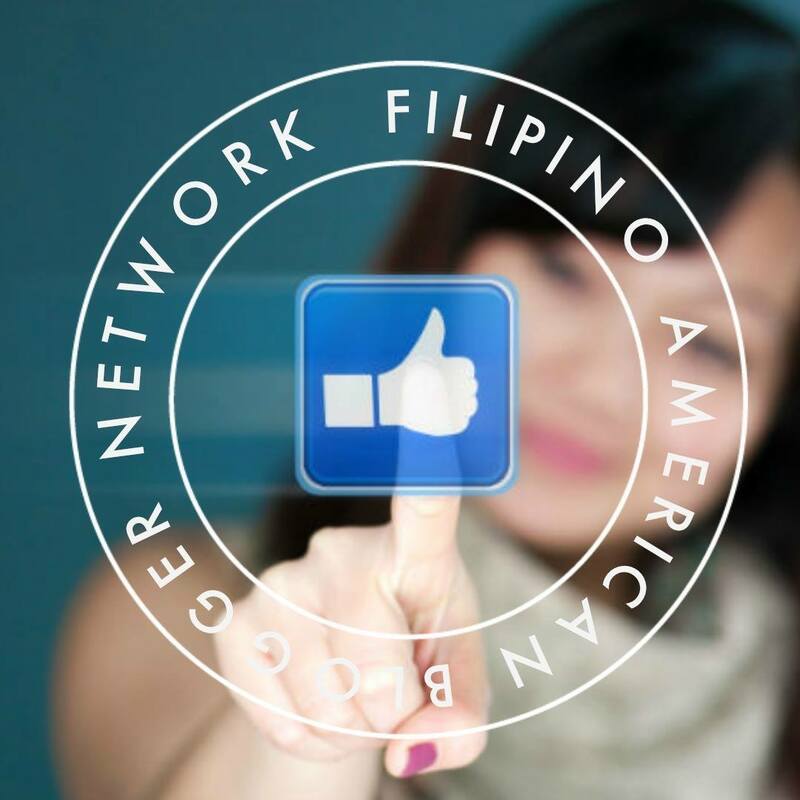 Growing up in a Filipino household, my role as a daughter was clearly defined. 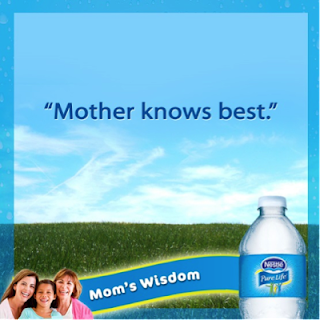 From a very early age, I was expected to do the "girl" things around the house: dust, laundry, dishes, and more. Here I am at age 5ish doing the dishes. I was often told "girls don't talk like that" or "girls don't do those kind of things" when it came to the way I carried myself. I had a strict curfew and the idea of a "boyfriend" was out of the question. As I grew up, I noticed my younger brother didn't have the same responsibilities as I did. He didn't have to help around the house as much as I was expected to. As long as he called my parents, he was allowed to stay out past the curfew I was given. He's allowed to have his girlfriend sleepover and vice-versa. Even today, as he's in his 20's and I'm in my 30's, there are still expectations my parents have of me that they don't necessarily hold my brother to. 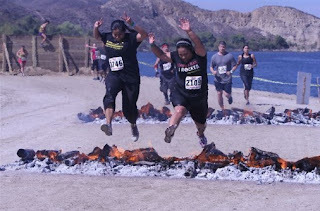 2012 was the year of the 12 runs in 2012 challenge by friend Eleina and I committed to in the last few weeks of 2011. You can read about all the fun we had here. Then 2013 came. I didn't have a challenge or a goal to commit to so the weeks went by, quickly at that, where runs, walks, or trips to the gym were few and far between. After a trying day at work and the challenges of my daily routine as a mom of by two boys, I was just too tired at the end of the day to do some exercise. The pounds came back on, the stresses at work and home got the best of me, and here we are at the halfway point of 2013 without much exercise. I'm a Mom of a Graduate! I'm a mom of a preschool graduate! 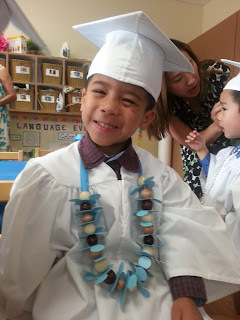 Yes, I know, it's only preschool but it's a graduate nonetheless and a reason to celebrate and be thankful for the wonderful blessings of my eldest son! As I helped Jelo put on his white gown and mortar board, I couldn't help but fast forward 13 years down the road to when he'll put his on high school graduation gown. I realized 13 years isn't too far away. This is when the tears began. As I watched him participate in the processional into the ceremony, I got that lump in my throat and tears in my eyes. I wasn't going to cry as he sang with all his heart during the performances - I couldn't hold back the tears! Tears of pride welled up in my eyes as he came up to the front of the audience and proudly said, "Hi, my name is Julian Garcia and when I grow up I want to be a doctor!". SeaWorld San Diego's "MADAGASCAR LIVE! OPERATION: VACATION"
The Garcia Family is in full summer vacation mode now! 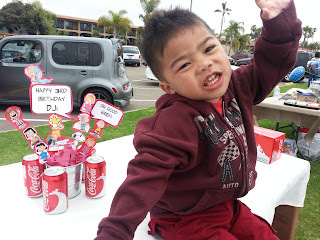 Jelo just graduated from pre-school and I'm on summer vacation from my work as a school counselor so it's time to enjoy our sunny San Diego and all that it has to offer! 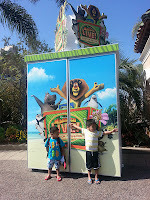 Today, my boys and I were fortunate to get a sneak peak into SeaWorld San Diego's new show "MADAGASCAR LIVE! OPERATION: VACATION" which opens to all SeaWorld guests tomorrow, June 15th, in the Mission Bay Theater. My sons loved the the 20-minute musical show which includes all of the well-known characters of the Madagascar movies: Alex the Lion, Gloria the Hippo, King Julien, Mort and the Penguins. 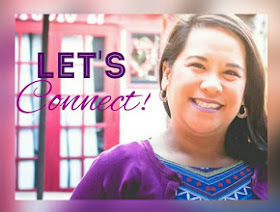 Check out my latest post on SD Moms Blog! Poppin' tags at the Spring Valley Swap Meet! I love coming home from a long day at work to find a package waiting at my door. It's always a delight to open the package to find something I ordered online or a new product I'm being invited to try. The packages are usually in a boring brown or white box, but a few days ago I was greeted with a brown box with an inviting green design. Once I opened my NatureBox, I was happy to be greeted with Lemon Pucker Pistachios, BBQ Kettle Kernels, Guacamole Bites, Lemon Meringue Waffles, and Whole Wheat Raspberry Figgy Bars. My mouth began to salivate with my excitement to try these healthy snacks! The small packages were perfect to pack for our Saturday trip to Disneyland. My sons loved the Lemon Meringue Waffles. They kept asking for more and were sad when they reached the bottom of the package! The sight of cruise ships, sail boats, and kayaks in our beautiful bays and seashores is one of the reasons why San Diego is America's Finest City! This summer Progressive Insurance brings to us the annual San Diego International Boat Show which allows in novice, as well as the experts to learn about the latest and greatest in Boats and Accessories, Superyachts, Stand Up Paddling, and On-Water Education. More than 100 vessels, from entry-level family cruisers and personal watercraft to luxury motor and sailing yachts, plus a new selection of superyachts, will be docked in the marina and parked on land for visitors to browse, board and buy. New! Discover the life of luxury aboard superyachts: For the first time, the boat show will feature a selection of superyachts from 100 ft. and up. Whether a big buyer or dreamer, visitors won’t want to miss this fleet of yachts.